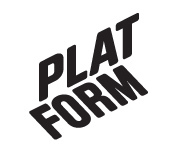 Stunder av / …hetkiä / Vasa – Platform r.f. already been, where we feel at home. The familiar superimposes itself onto the new. Moments of happiness. Moments of burning desire. Moments of indecision. Moments of dire need. handed way to reinvest in the existing spirit of a place by poetic suggestion.